The Elvis Experience, Dave Hebler with Michael Miller, TCB Publications, USA, 2018, Softcover (23 x 15 cms), 172 pages, Illustrated, ISBN-13: 978: 1986563116. A long time has passed since the multi-million copy selling book, Elvis What Happened?, one of two books that shook up the Elvis world (the other being Albert Goldman’s equally successful at the cash register, and widely reviled 1981 release, Elvis). Dave Hebler, along with Red West and Sonny West, were generally ostracised by Elvis’ inner circle and his fans after Elvis What Happened? was published six weeks before Elvis’ death in August 1977. With the benefit of hindsight this was arguably unfair, as it was the Rupert Murdoch owned publishing house and its journalist Steve Dunleavy, who twisted and skewed the account told by the three former members of Elvis’ Memphis Mafia into a highly sensationalised story which tabloid magazines lapped up and angered fans worldwide. In the years after 1977, Dave, Red and Sonny were eventually welcomed back into the the “Elvis family”, at least by Elvis fans, if not by the Presley family and Elvis Presley Enterprises. Dave Hebler’s new book, The Elvis Experience, is a nicely written and entertaining account of his time working for Elvis. And it is well balanced in that the author addresses both the good and not so good of that experience, with the good dominating. From how he came to work for Elvis to helping others grow through martial arts, Hebler covers a lot of interesting ground, and I found his account to be genuine, and at times, a moving one. There are many very amusing stories in the book including Elvis’ reaction on seeing the San Diego Chicken dancing in the aisles at one of his concerts, the night Lamar Fike had a champagne drinking contest with Tom Jones (yes that Tom Jones! ), and Colonel Parker trying to get one over on Hebler with a $100 gambling chip. Other interesting and fun stories involve the infamous sandwich, Elvis’ gaudy bauble, the kid with the watches, and the mail order brides. Many readers will be surprised to know the role Hebler played at Dr Nick’s trial and that as a highly accomplished martial artist, he sparred with the legendary Bruce Lee. Quite strangely, I was fascinated by the author’s ‘out-of-step’ commentary on the geographical features of the Lake Tahoe area in Nevada (and the background information he sourced from Wikipedia to detail his French heritage is a real history lesson). Hebler notes that he had a lot of interactions with the Colonel and while he understands many fans detest him, Hebler also offers a different side to illegal Dutch immigrant, Andreas van Kuijk – counterbalancing the usual machinations he is associated with. In addition, Hebler includes the story of how Dutch journalist, Dirk Vellenga, pieced together the Colonel’s true past including details of the murder of a greengrocer’s wife in the Colonel’s home town of Breda, Holland, on the night he left for America. This story and speculation van Kuijk was connected to the murder gained widespread prominence when included in Alanna Nash’s excellent book, The Colonel The Extraordinary Story of Colonel Tom Parker and Elvis Presley, published in 2003. It was also intriguing to read in The Elvis Experience about the night Lucille Ball confronted Elvis about his drug use and the strategy Hebler and the rest of the security crew used to protect Elvis on stage. The author doesn’t pull any punches in telling his side of the story regarding his firing, along with Red West and Sonny West, in 1976. Similarly, I found his account of why he, Red and Sonny agreed to contribute to the infamous book, Elvis What Happened?, as quite believable and understandable. However, in relation to his sacking, I believe Hebler should have directly addressed the thorny issue of lawsuits by fans. I expect the emotive issue of Dave, Red and Sonny and the Elvis What Happened? book, while forgotten or forgiven by some fans, will continue to inspire angst in others. The way Elvis mesmerised the crowd was unbelievable. It was like I was dreaming as I gazed at the thousands of roaring fans, many of them crying, as they got a glimpse of their hero. The way Elvis moved, his amazing voice, his gleaming charisma, and his sense of humor while performing was infectious. I became an instant fan of his performances right then and there. He was astounding. It was absolute mayhem with the energy inflating profusely with every passing second..........I could see a glow off Elvis that seemed like a spiritual experience. This wasn’t the Elvis I knew; this was an icon – a God. 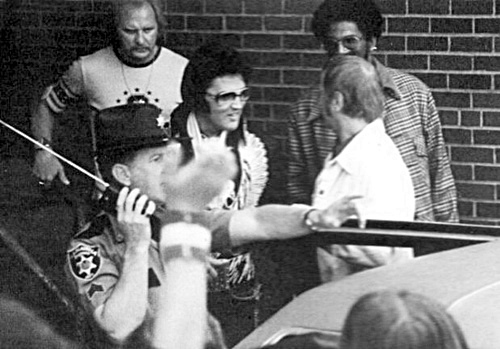 The hair on the back of my neck stood up as Elvis’ untouchable charisma shot through the crowd’s insanity. I was overwhelmed and knew that I would never look at Elvis the same way again. The chapters are generally devoted to a particular issue such as Elvis and Martial Arts; Fun with Elvis; The Crazy Ladies; The Drugs and the Hit, Getting Fired; Elvis What Happened? ; and Elvis and Gospel Music. This is an effective narrative device as it allows the reader to obtain a lot of information about the subject in one go rather than having to piece together information bytes from throughout the book. Elvis Presley was the greatest guy I ever met in my life. We had so much fun. He was down to earth, fun to be with, cracked jokes, laughed, and just had a wonderful time. Drugs destroyed all that. For family and friends who love and care for these addicted individuals, it is a seemingly endless cycle of agony and frustration because drug addicts do not suffer alone. And sometimes people forget that addicts are not bad people - they’re victims. The Elvis Experience includes three appendices. Appendix A (20 pages) is a collection of questions and answers Hebler has received/answered over the years. Appendix B (12 pages) is his recent interview with EIN’s Piers Beagley (am I allowed to say it is a good one?). Appendix C (7 pages) is out-of-work actor, Bob Warner’s, account of his experience in meeting Elvis when he auditioned for a part (Elvis look-a-like) in the opening scene of the ‘68 Comeback Special – it is an interesting read and as it turns out Lance Legault, Elvis’ long-time film stunt double was a good friend of Warner’s. However, I’m not sure what Bobby Campion made of Warner’s story. The photos in the book are routine and b&w. 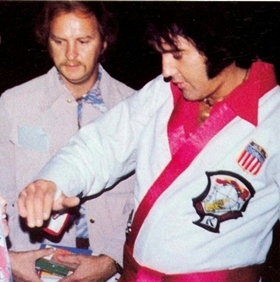 There are several candids of Elvis in his karate Gi, during his martial arts training sessions and on and off stage. Others feature images of the author including from photo shoots for Kung-Fu magazine and numerous photos of him with Elvis. The quality of the visuals varies, particularly as many are candid shots and quite dark. 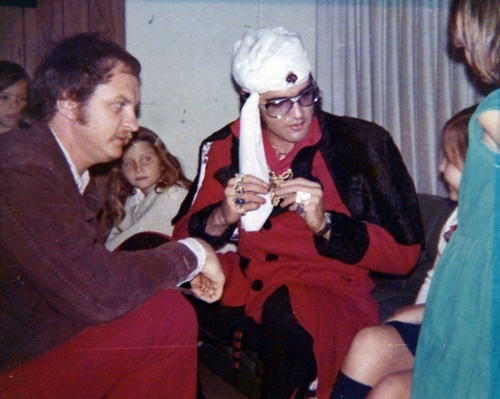 There are several rare images including one of Elvis wearing a white turban with Dave Hebler’s young daughters, Lorie and Kris. Being printed on routine paper stock doesn’t allow the images to be shown to their best advantage. The strengths of The Elvis Experience are that it is told first-hand by a person who was there and “experienced” the ups and downs of life around Elvis, and that it is full of interesting stories and anecdotes. For some readers it may not contain much information that is new, for others it will be a fresh reading experience. On balance, there are issues in The Elvis Experience that some fans will find confronting and there are stories everyone will enjoy. Accordingly, The Elvis Experience exhibits an honesty or integrity that is often missing in other Elvis related books. Verdict: After so many memoirs from members of Elvis’ inner circle I feared The Elvis Experience would be simply another rehash of what has gone before. I was pleasantly surprised to find that while there are various incidents we have read about many times, there are also many stories I’d either forgotten or never read before. Dave Hebler (and Michael Miller) have written an accessible and enjoyable account (warts and all). With many of Elvis’ inner-circle passing away in recent years there cannot be many more memoirs left from them (we can only hope the late Lamar Fike’s dormant book manuscript finally sees the light of day in print). 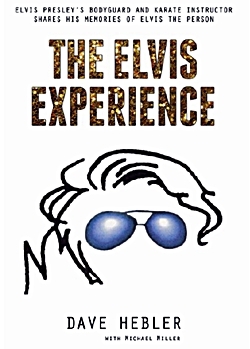 In this context, and given its undoubted narrative strengths, The Elvis Experience is a welcome addition to the bourgeoning Elvis library and one that will be appreciated by many fans.